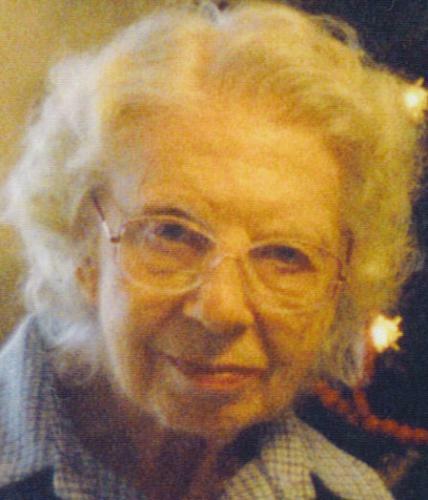 This memorial website was created to remember Pauline R. Wertz who was born in York County, Pennsylvania on April 11, 1919 and passed away on June 18, 2008. She will live forever in our memories and hearts. Pauline R. Wertz, 89, of Chillicothe, IL, formerly of Lemoyne, PA, passed away at 10:45 a.m. on Wednesday, June 18, 2008, at Heritage Manor in Chillicothe. Pauline was born on April 11, 1919 in York County, PA, daughter of Clarence E. and Grace R. (Miller) Spong. 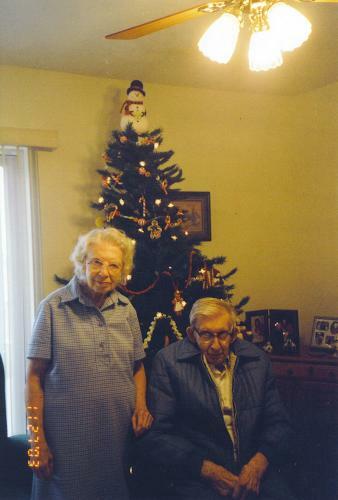 She married Marlet W. Wertz on November 9, 1943 in Wormleysburg, PA. He preceded her in death on October 15, 2005 in Chillicothe. Her parents and one granddaughter, Michele Grabill, also preceded her in death. Pauline is survived by her daughter, Karen (Rev. Dean) Grabill of Peoria, IL; granddaughters, Melanie (Rev. Wayne) McGuire of Bearden, AR and Kristi (Rev. Jason) Loper of Southern Asia; grandson, Rev. Keith (Lacei) Grabill of Middlebury, IN; nine great grandchildren; and sisters, Betty Kistler and Jean Spong, both of Enola, PA. Upon graduation from high school, she received awards in English and Math. Pauline attended the Wormleysburg Church of God and was employed as their organist until the age of 80. She loved practicing and playing the organ and teaching her daughter to play. She had played for numerous churches and weddings over her lifetime. She also enjoyed reading, caring for her houseplants and listening to pipe organ, orchestra and choral music and The Mormon Tabernacle Choir was her favorite. Pauline loved to spend time at home visiting with her family, attending concerts and visiting floral gardens. Her family is proud of her musical ability and her perseverance in difficult relationships. She will be remembered as a quiet perfectionist who was studious, prim and proper. Funeral services will be at 2 p.m. on Tuesday, June 24, 2008 at Musselman Funeral Home in Lemoyne, with the Rev. Dean Grabill officiating. Visitation will be one hour prior to the services at the funeral home. Interment will be at Rolling Green Cemetery in Camp Hill, PA.
Memorial contributions may be made to the Peoria First Assembly of God Southern Asia Mission Fund. Local arrangements have been entrusted to Donald D. Clary, funeral director through Chillicothe Mortuary.